Nashville Ballet will uncover the untold during its 2016-2017 performance season that includes fresh takes on familiar stories, returning favorites and brand-new works. Upcoming Music City collaborations include Sugar + The Hi-Lows and Ten out of Tenn, as well as a tour to the Kennedy Center with Ben Folds. 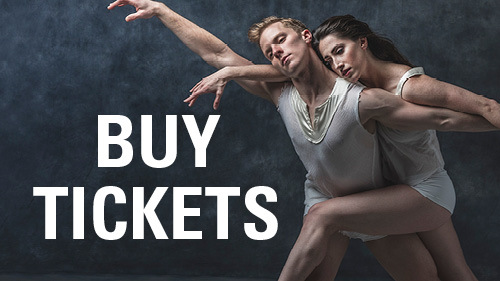 Season tickets and tickets for groups of 10 or more are on sale now and can be purchased through www.nashvilleballet.com/ticket-packages or (615) 297-2966 x710. Tickets to individual performances go on sale July 1. Cinderella will take place at TPAC’s Polk Theater for five performances, September 16-18, 2016. Unearth the wickedness of human nature as Macbeth embarks on a power-hungry quest to the throne. No one is safe as Macbeth spins an intricate web of murder, greed and deceit—not even himself. But is he truly in command of his own fate? Or are three witches in the background really pulling the strings? First presented in workshop form during 2013’s Emergence, Something Wicked comes this way just in time for Halloween. Something Wicked will take place at TPAC’s Polk Theater for four performances, October 20-22, 2016. 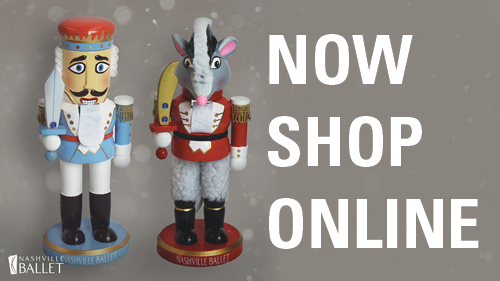 Nashville’s Nutcracker will take place at TPAC’s Jackson Hall for 14 performances, December 3-23, 2016. Smash hit Under the Lights returns after its 2014 premiere to pay tribute to the iconic life and legacy of Johnny Cash performed by Nashville’s own Sugar + The Hi-Lows, featuring original choreography by Nashville Ballet’s Christopher Stuart. Sergeant Early’s Dream is a collection of vignettes depicting the immigration experience from Europe to America set to early folk music. This bold combination of contemporary dance and live music offers a glimpse into the origins of country music. Attitude will take place at TPAC’s Polk Theater for four performances, February 9-12, 2017. There’s no hiding when Seven Deadly Sins uncovers the flawed, imperfect side of human nature that tempts even the most virtuous of us. Stuart teams up with Nashville singer/songwriter collective Ten out of Tenn to deliver the forbidden. What’s your vice? Pick your poison. With the addition of Appalachian Spring, Vasterling presents an abstract interpretation of Aaron Copland’s famed score and explores the strength, tenacity and creative spirit of women. Seven Deadly Sins will take place at TPAC’s Jackson Hall for three performances, May 5-7, 2017. You’ll be charmed by this tale about a lovable bull who would rather sit and smell the flowers than fight in Madrid’s bullfights. Based on The Story of Ferdinand by Munro Leaf, this family ballet humorously teaches us how to embrace what makes us different. Featuring vibrant sets and costumes inspired by the cubist paintings of Pablo Picasso, narration and an interactive activity, Ferdinand the Bull will leave audiences of all ages delighted. Ferdinand the Bull will take place at The Martin Center for Nashville Ballet for six performances, May 14-21, 2017. Emergence offers a first glimpse into the creative works of some of today’s most fearless artists. An experimental lab in the black-box theater setting of Nashville Ballet’s intimate studio, choreographers and musicians boldly create without inhibition to showcase the beginning of raw, unfiltered works. Watch new art unfold before you, then hear from the artists themselves about what inspired their works. Emergence will take place at The Martin Center for Nashville Ballet for four performances, June 1-3, 2017. Nashville Ballet will bring The Ben Folds Project to the Kennedy Center in Washington, D.C. April 18-23, 2017 as a part of its Ballet Across America series. Illustrating the most exciting, innovative dance happening across America today, the program is curated by major stars of the ballet world: dancer-choreographer Justin Peck and principal dancer Misty Copeland. The Ben Folds Project, which premiered to Nashville audiences in May 2014, showcases Folds’ new piano concerto to original choreography by Vasterling. This will be Nashville Ballet’s premiere appearance at the Kennedy Center.